Lately I’ve had sleeves on my mind, particularly sleeves with a bubble silhouette. It’s such an elegant shape and quite refreshing, for me at least – I suppose because it’s rather feminine, a quality I’m not usually drawn to. 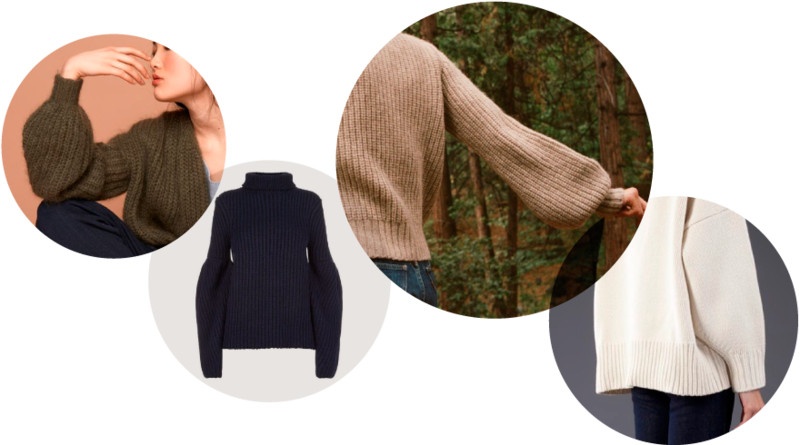 I’ve gathered up some beautiful knits that achieve a rounded silhouette in different ways. The Oliv bomber jacket by Sabrina Weigt and the Dôen Lulu sweater create their billowy sleeves with a slim fitting cuff, whereas the bubble shape in the Victoria Beckham sweater begins above the elbow and gently narrows again at the wrist. The Row’s sweater is more sculptural and befitting the oversized look. Black is my favourite colour to wear, which presents some challenges when you love to knit your own clothes. Part of me wants to wear black always and forever but it’s a bit too restrictive when it comes to knitting, considering it won’t show much texture, shaping, or anything really, and it’s a horror to knit with in bad lighting. It’s a fun challenge, designing something that will stand out in black yarn, but it’s a lot more limiting than a lighter colour. Often, I end up knitting in greys, so I can stick with monochrome, knit in the evening, and still enjoy all my hard work and fancy stitchin’ once I’m done. Another option is to combine a black with a white yarn. 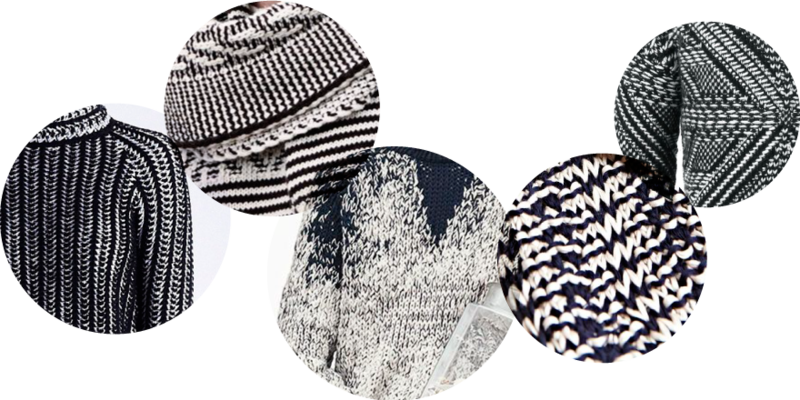 Whether marled together as one yarn or worked in a two-colour brioche/tuck stitch, thin one or two row stripes, or stranded or slipped stitch patterns, black and white knit together create a stunning high contrast effect. 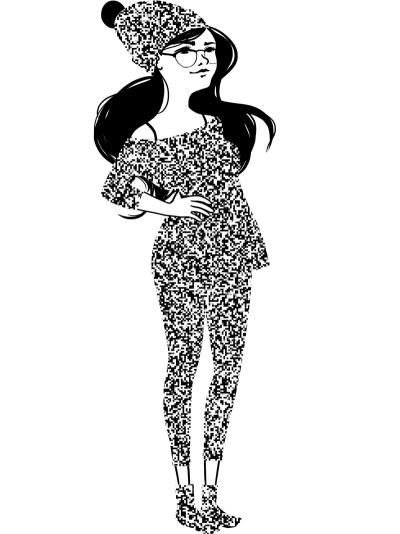 I’ve made myself a black and white marled hat, a sweater and most recently a pair of socks, so all I need now is some black and white knit leggings and I’m good to go. White noise girl!